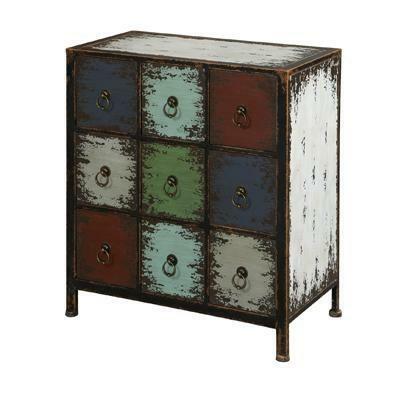 The Parcel Collection combines an antique, weathered look with a rustic, industrial feel. 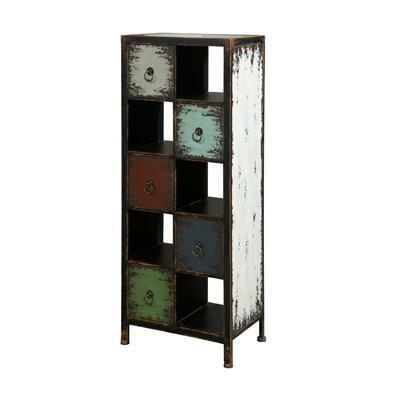 Its distressed look is trendy, popular and full of unique character. The Layered Antique Cinnamon finished console features nine drawers that provide an abundant amount of hidden storage space. 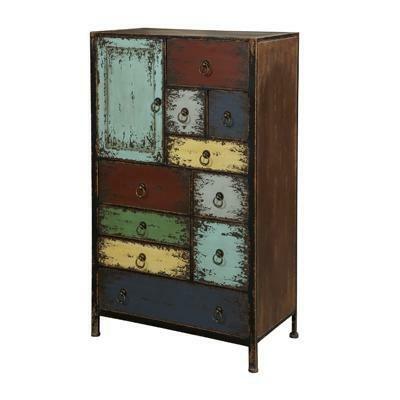 Decorative pulls accent the fronts of each drawer. A unique addition to any space in your home. Fully assembled.